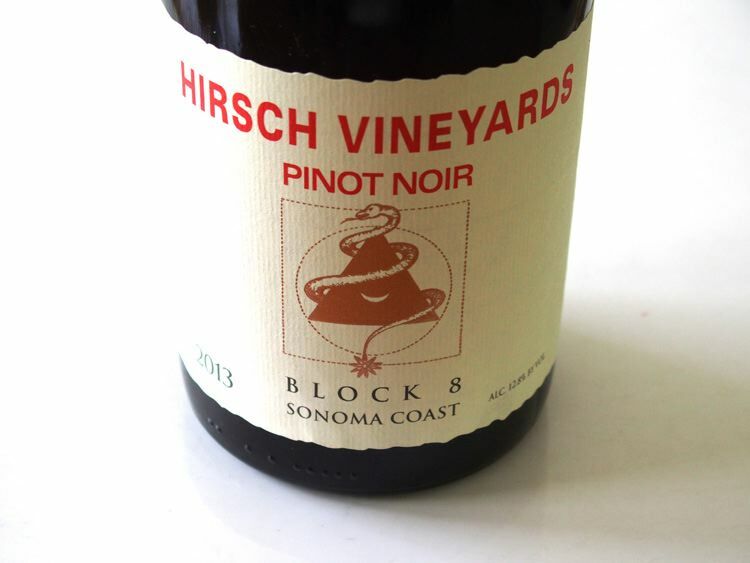 David Hirsch was one of the first visionaries to plant Pinot Noir on the true Sonoma Coast and now farms 68 acres of Pinot Noir and 4 acres of Chardonnay on his 1,100-acre property in Cazadero. Initially, he moved to the area to escape urban life and considered farming trees in an effort to reforest a part of Sonoma's far coast where most of the timber had been decimated by the rebuilding of San Francisco after the 1906 earthquake. 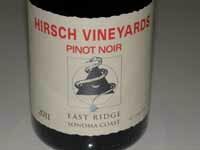 A friend, Jim Beauregard, a winegrower in the Santa Cruz Mountains, suggested the ridges would be perfect for growing Pinot Noir, and instead of trees, Hirsch planted two acres of Pinot Noir and Riesling in 1980. 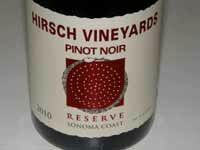 Hirsch had always been a passionate Burgundy drinker, so planting Pinot Noir made sense. Additional plantings followed from 1990 through 1995, with the most recent vines established in 2002 bringing the total to 68 acres: 3.9 acres of Chardonnay and the rest Pinot Noir. 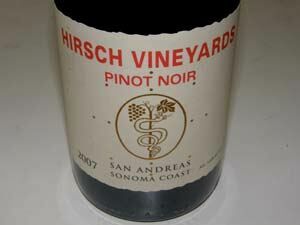 Although 68 acres of vines, Hirsch Vineyard is divided into 60 different parcels that are all managed differently and ultimately vinified separately both by Hirsch and the wineries that source grapes from this vineyard. The organic block Hirsch farmed for Lemon proved so successful, Hirsch eventually converted the entire vineyard to biodynamic viticulture by 2014 (although not certified). 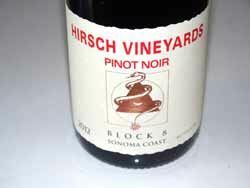 A winery was built in 2002 in an old sheep-bearing barn on the property, and Hirsch began bottling some of their own production. Several notable winemakers have worked here, the most current being Ross Cobb of Cobb Wines. 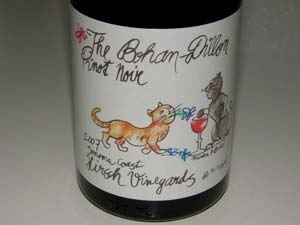 A second label, The Bohan-Dillon, is a combination of estate and purchased grapes and is also fine and less expensive. 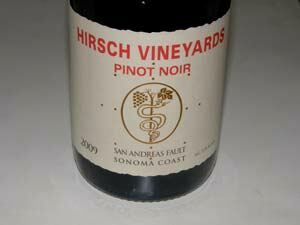 Hirsch supplies fruit to many prominent California (and at times even Oregon) wineries including Littorai, Williams Selyem, Faille, and Siduri, who all bottle Hirsch Vineyard designates. 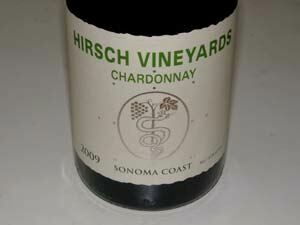 The Hirsch's neighbors, the Bohan family, were the original growers in the region. They settled in 1947, grew a number of crops, and against the advice of University of California at Davis and others, planted grapes in 1972. Cazadero has an interesting history. George S. Montgomery, a wealthy San Franciscan bought a tiny resort town for hunters called Ingrams in 1888 and promptly re-branded it Cazadero. Montgomery was a two- fisted drinking Bohemian Club member and a man for good times until 1890 when be became a good Christian. He decreed that Cazadero would be an ideal temperance town. Beginning in 2011, Hirsch is gradually converting the entire property to biodynamics with Ted Lemon and Andrew Lorand consulting on the conversion. Since 2011, the property is part of the Fort Ross-Seaview AVA. 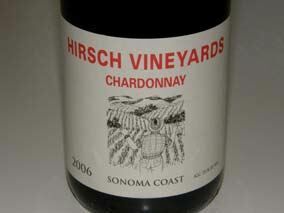 Several winemakers have been directing production at Hirsch Vineyards. In late 2015, Anthony Filiberti, who previously made wine at Knez in Anderson Valley, replaced Ross Cobb who made the wines at Hirsch from 2010 through the 2015 harvest. 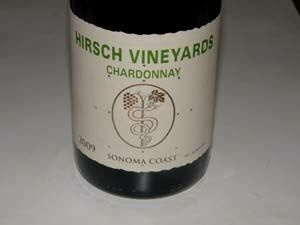 Hirsch produces Pinot Noir and Chardonnay under the Hirsch Vineyards label. Production is 5,500 cases annually, 92% of which is estate grown. 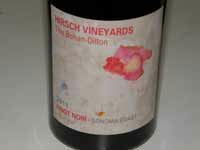 For years Hirsch sold grapes to other producers, but in recent years more and more of the grapes are kept for the estate wine program. 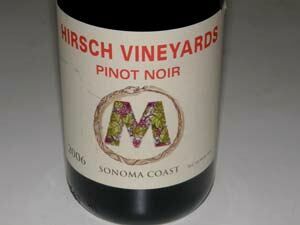 The Hirsch Pinot Noirs and Chardonnays are highly sought after. 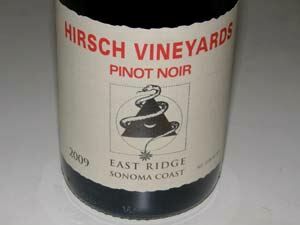 When Ross Cobb came on board, Hirsch began parsing some of the West Ridge and East Ridge blocks into separate wines. 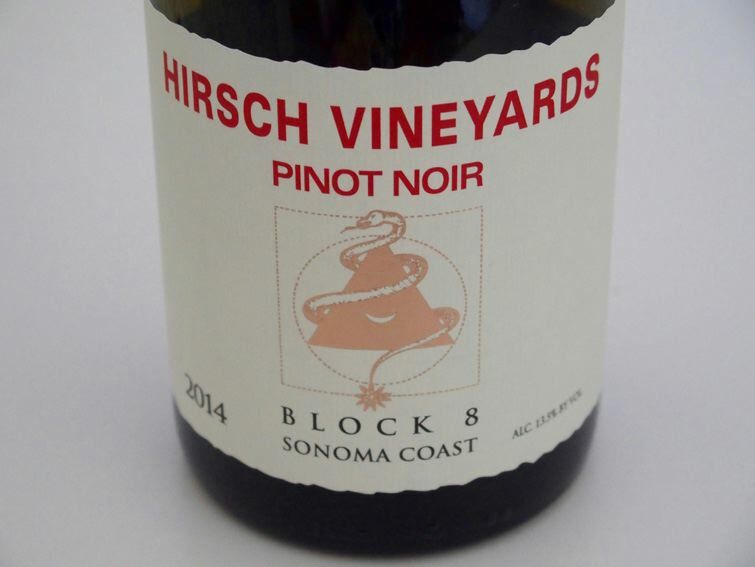 More recently, a Block 8 wine debuted with the 2011 vintage, and 2014 brought a Raschen Ridge micro bottling form two rocky, high-elevation blocks where the East and West ridges meet. Tours and tasting are by appointment (plan on a full day if driving from more populated areas of Sonoma and try to time your visit when it isn’t raining - Cazadero receives 80 inches of the wet stuff each year). 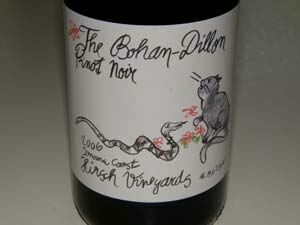 Every true pinotphile should make the pilgrimage some time in their life. 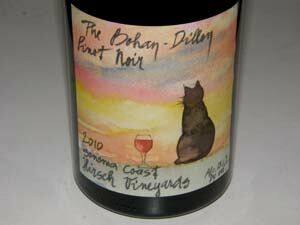 The wines are sold through a mailing list and retail distribution. David's daughter, Jasmine, started at the winery with the 2008 vintage, helps out in the vineyard and cellar, but is primarily a spokesperson for Hirsch Vineyard and travels handling sales and marketing. David's wife, Marie, designs the labels. Total annual production of estate grown wine is 7,360 cases annually.